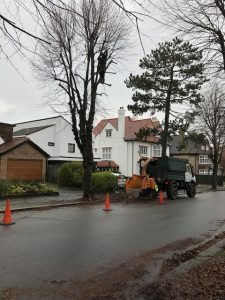 Every four years there is a full review of all the street trees in our Ward and a pruning exercise to take down the height of the largest trees. Some trees are found to be diseased and a few have to be felled, but will be replaced. When the trees are pruned they look bare, but the foliage will re-grow next year. 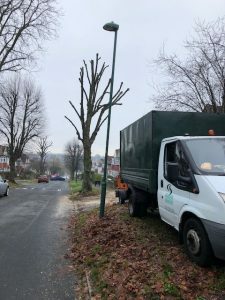 It is believed that Sutton has more street trees per yard of pavement than any other of the 32 London boroughs, with over 20 000 trees across the borough and over a thousand in our Ward. This leads, every autumn, to a big job collecting up the leaves. There is a schedule for collecting them, but the speed of doing this is directly related to the resources devoted to it. Tory Government cuts to Council funding have not helped.